Skiing for the first time will be a really exciting experience. Many first-time skiers, however, worry about purchasing equipment, having fun and minimising the risk of injury. To be fully prepared and to have tons of fun, you will have to follow several basic and practical ski tips for beginners. The first thing you need to do is buy or rent the right ski clothing and equipment. You will be surprised to find out that the ski equipment range is large and you have a big number of opportunities to choose among. 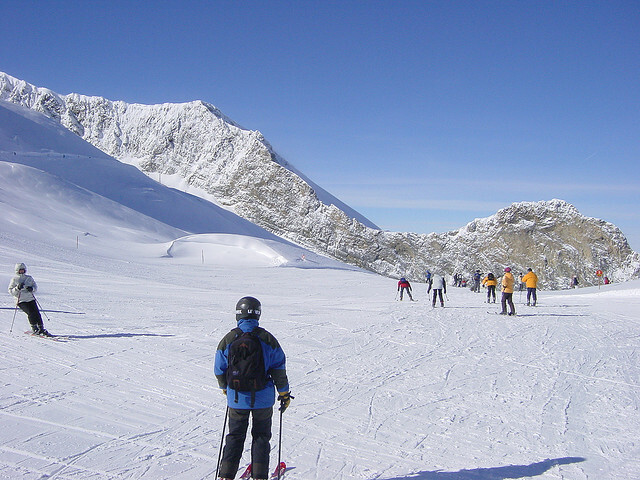 You will need ski trousers, a jacket, gloves, thermal underwear, skis, sunglasses, a helmet, goggles and ski boots. Many beginners choose less expensive options until they figure out whether the sport is the right one for them. At the same time, you should not underestimate the importance of equipment for personal safety and enjoyable skiing. Consider getting a winter sports insurance, as well. Ski insurances are relatively inexpensive but they will provide coverage in the case of a medical emergency, damaged equipment, avalanches and stolen ski passes. Examine different policies to figure out which one offers the best conditions. Learning how to ski on your own is a possibility but if you are interested in doing it properly, a ski school is the right place for you. Benefiting from the services of a trained ski instructor will provide you with the knowledge needed to ski properly. You will learn everything about the right posture, the way to act in emergency situations and how to have fun without endangering others. Most ski resorts have their schools where you will get to decide upon the time of learning experience that you are looking forward to. Private lessons may be the best and the quickest way to learn. Some basic manoeuvres should be mastered before you move on to anything more complex. Stopping is the first thing that you should learn how to do. The easiest way to stop is to position your feet in the so-called wedge. To do it, turn your feet inward, so that your skis make a triangular shape. You will notice a lot of skiers doing it the first time you hit the slopes. The correct stance is very important, as well. Your knees and ankles should be bent slightly, allowing for the proper distribution of body weight. Lean a bit forward, although you will get the urge to lean back. Mastering this is essential for skiing success. Skiing is a lot of fun but you need to have a responsible attitude, as well. Thinking about getting the right equipment and the right training will let you have fun without worrying about personal safety. Ski insurance packages and travel insurance with Direct Travel Insurance for the best cover!